Three are killed when a tour over Stowe turns tragic. MORRISTOWN, Vt. — Crews worked Thursday to recover the bodies of three people who died when the glider they were in crashed in a heavily wooded section of Vermont’s Sterling Mountain during what was supposed to be a 30-minute tour over the resort town of Stowe and the surrounding area. While multiple agencies worked to bring the bodies off the mountain, an investigator from the National Transportation Safety Board arrived Thursday at the Morrisville-Stowe Airport in Morrisville to begin the process of determining what caused the crash. The glider was being flown by Donald Post of Stowe, a long-time pilot for Stowe Soaring. Post, 70, was killed in the crash along with the passengers, Frank Moroz III, 58, and his wife Suzanne Moroz, of Hamden, Connecticut. 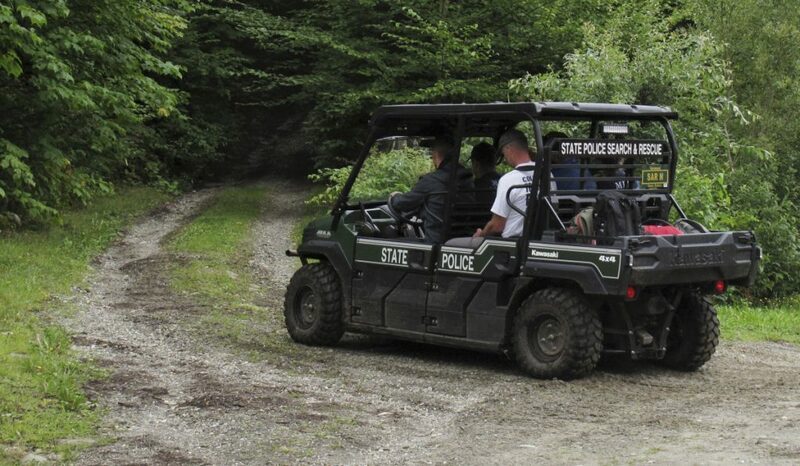 “It’s a heavily wooded, dense area,” Vermont State Police Capt. Robert Cushing said at midday Thursday at a staging area in a remote section of Morristown. Crews were being ferried from the staging area to the crash site to carry out the bodies. Cushing said it was expected to take most of the day to recover the bodies, which would then be taken to the office of the Vermont Medical Examiner for autopsy. The glider took off about 11:30 a.m. Wednesday and was disconnected from its tow plane about 20 minutes later at about 4,500 feet just northwest of the airport. The flight was supposed to last about 30 minutes and other customers were waiting for later flights, said Senior NTSB investigator Brian Rayner, who flew in from Washington to investigate the crash. Morrisville Police were notified the aircraft was missing at about 2 p.m. A search plane spotted the wreckage at about 5:30 about 1,000 feet from the summit of Sterling Mountain. Ground crews reached the site around 9:30 p.m. Wednesday and found no survivors.